CBC is reporting that "Police have made an arrest for a targeted double shooting that occurred in the early morning of May 18th at an East Vancouver home on Industrial Avenue near Scotia Street. Carleton Stevens, 37, was arrested Sunday night just before 8 p.m. near the area of 154A Avenue and Fraser Highway in Surrey. He has been charged with one count of attempted murder and one count of possession of ammunition or firearm contrary to a prohibition order. He remains in custody. One of the victims was a 31-year-old woman in the third trimester of her pregnancy, who lost her baby as a result of her injuries. She is now in serious but stable condition." "The second victim, a 23-year-old Langley man, is also recovering from his injury. 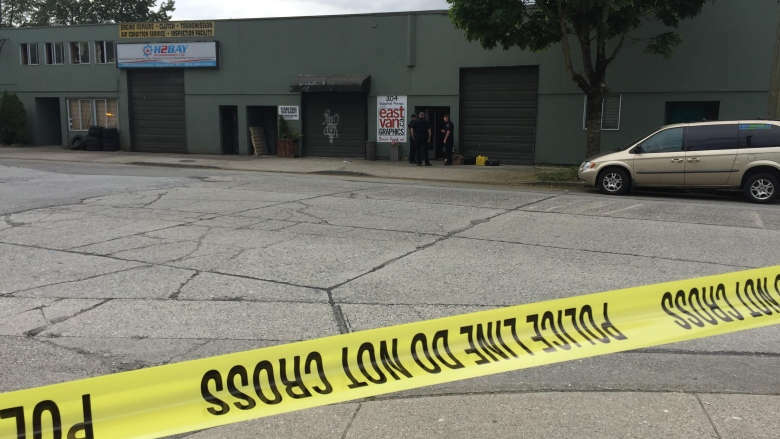 Jeff Grayston, the owner of East Van Graphics, where the shooting occurred, said the woman had been staying in a room in the shop for about a week. He said her new boyfriend, a long time employee, brought her there out of concern for her safety, fearing her ex-boyfriend." Attempted murder.....and murder . Wju just attempted ? I think they mean he shot the woman and the woman survived. The baby died which is indeed murder but they don't want to say that because it makes them feel uncomfortable about late term abortions. In the US if someone murders a pregnant woman it's a double homicide. Not here unfortunately. So that leaves a good question. What the hell do they call it? Nothing?? ?